As someone who works in revenue, marketing, or operations, you may have been hearing an awful lot about API integrations lately, and how they’re becoming more important to what you do. ...But what does this really mean? Perhaps the easiest analogy to explain the API is, of all things, the way international shipping has changed over time. Prior to World War II, products were generally shipped as “break bulk” - loaded individually onto freight ships by squads of longshoremen. However, after World War II, the way freight was shipped changed permanently once intermodal freight transport gave rise to standardized shipping practices. So long as a company’s wares fit inside a container of agreed-upon size at an agreed-upon maximum weight, they could be shipped anywhere in the world. In the same way, APIs act as shipping vessels for software. While freight is shipped in vessels made of reusable steel, APIs for web services consist of all the interactions, or messages, passed to (requests) and from (responses) an application. APIs have grown massively in popularity - more than 16,000 are in use in the wild, with some estimates going as high as 50,000. 70% of public APIs are REST APIs. REST APIs offer more flexibility, a gentler learning curve, and work directly from an HTTP URL rather than relying on XML. How do REST APIs work? While there are many different flavors of software and many different flavors of server, REST APIs act as a standardized wrapper to help your API-enabled applications successfully communicate with online servers to make information requests. OK, that covers what APIs are. Now, what is an API integration? The term API integration refers to how two or more applications can be connected to each other via their APIs to perform some joint function...using the API layer of two or more applications to make them talk to each other. One of the most well-known API integration examples for marketing and revenue professionals is the Marketo -> Salesforce sync, which combines API integration between the two tools, and also adds an extra layer of automation - a trigger that automatically updates data in both applications in response to updates on one side for certain data types. For the Marketo -> Salesforce sync, the value should be obvious. Having each application properly connected so you can push any updated data from one to the other is obviously helpful. But it’s more than that. In this case, API integration + automation also ensures data integrity across your stack without having to worry about versioning issues. In theory, the out-of-the-box API integrations that come with your different software applications solve all your problems as you continue to use these various apps for marketing, sales, and revenue projects. In the real world, you know that one-size-fits-all solutions rarely cover everything. You and your team have challenges and use cases that are unique to you. What about the rest of your stack? 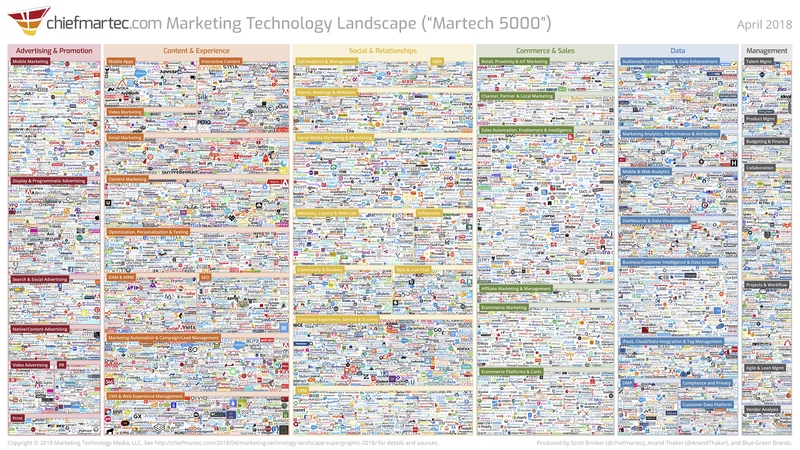 There’s also another challenge here: Your tech stack probably isn’t just Salesforce and Marketo. For instance, if you work in marketing, your tech stack may include any of 5,000+ applications. And while the vast majority of modern business applications do have APIs so business users can use them, sadly, very few of them offer customizable, native integrations to the other 4,999 tools. This means that getting all your applications to talk to each other the way you need them to isn’t really something that happens automatically. Realistically, you’ll be looking at stoppages as apps de-sync, lead data gets lost or duplicated, and you experience all those other issues you’ve come to expect. Trying to get your data to sync up usually requires error-prone manual work, jury-rigged workarounds, or filing a ticket for IT support. How to do an API integration: Is middleware the answer to your problems? Thankfully, there’s an alternative. A la carte API integrations are generally the domain of middleware integration tools built to tie together different software applications. These run the gamut from simple, point-to-point connectors (the features that literally connect one software application to another) for small businesses all the way to behemoth enterprise software suites. Lightweight SMB: These tools often offer the upside of being more user-friendly, so they often map well to the needs of small and mid-sized business (SMB). Unfortunately, they can’t always support businesses that need deeper, more-complex integrations to perform sophisticated tasks. Heavy-duty enterprise: These tools offer a deeper suite of functionality, but have complicated front-ends that require coding. Enterprises often have teams of engineers to interact with applications like these. Not necessarily a good fit for everyone, especially revenue professionals who need to adapt to changing market conditions (and can’t wait around for IT tickets to make adjustments). Alerting - Will the solution you’re looking into properly provide alerts for important events, such as data or runtime errors? Or will it simply grind to a halt with no warning? Pricing - Will your solution price integration services to enable you to scale? Unfortunately, several early middleware tools still use outdated pricing models that charge additional fees per user or per individual connector. Data scalability - Will your solution properly scale with your task-related needs? In order to help you accomplish your most important work, you need a solution that is capable of managing variable quantities of data as you scale your processes to flow more data between your various stack applications. Connector scalability - Will your solution responsively add support for new connectors or enhance existing connectors? If the tool you're researching doesn't address your exact use case and doesn't have a proven history of creating native integrations very quickly, it might not do so for a while! How will you integrate more than 6,000 applications for marketing alone? 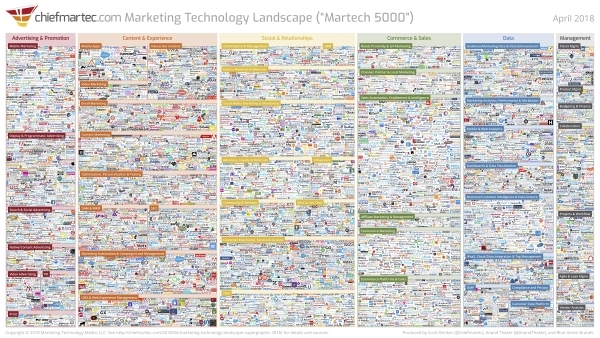 Click to enlarge the MarTech 5000 supergraphic. Fortunately, there’s an even better alternative to the limitations of conventional middleware to perform API integrations that are seamless and customized to your specific needs: a General Automation Platform (GAP). A GAP handles all your API integration needs across your stack by creating workflows (connected lists of tasks across your stack that a GAP fully automates) that are flexible enough to perform any business task you need, and are accessible enough to let you build them with no coding required. Full API integration: Tying together cloud-based services such as CRM, marketing automation, and task management, for a variety of use cases including marketing, sales, customer success, operations, finance, and legal. Rapid connector updates: Being flexible enough to spin up new point-to-point connectors as needed, as well as to regularly enhance its existing pool of connectors to better fit your changing needs. Full automation with powerful branching & conditional logic: Automate processes using multiple cloud services, such as having marketing automation automatically update lead status in CRM based on conditional specs you design. Ease of use: A user-friendly interface that lets business users - not just engineers - directly integrate their tech stack to build automated workflows. The best GAPs have drag-and-drop interfaces that you can get started with in just minutes. Scalability: Scaling with your data usage and needs. Because GAPs are accessible and let business users build their own workflows, GAP users tend to grow their usage over time. As they do, it’s natural to run more processes and flow more data. Alerting & analytics: A GAP is equipped with full alerting and analytics capabilities to help users quickly diagnose any workflow issues and monitor data usage. API integrations connect the different components of your tech stack to make them talk to each other and pass data seamlessly. They’re also important because building automated workflows of different applications that have been integrated via API can get rid of time-consuming manual labor, and also seamlessly transfer data that might otherwise require manual input and incur versioning issues, and enable you to do more of the important work you need to, faster. Get the full, non-excerpted guide, “What are APIs and API Integrations for Non-Technical People,” here.